� Copyright - Karim A. Khaidarov, December 30, 2003. Rd = 2.25�10-14 [m] is a radius of domain. Va = 4πra3/3 = 1.76793�10-104 [m3] is amer volume, ra is amer radius. On the other hand, integral on time stillness of intradomain amers on the whole visibility is very high. 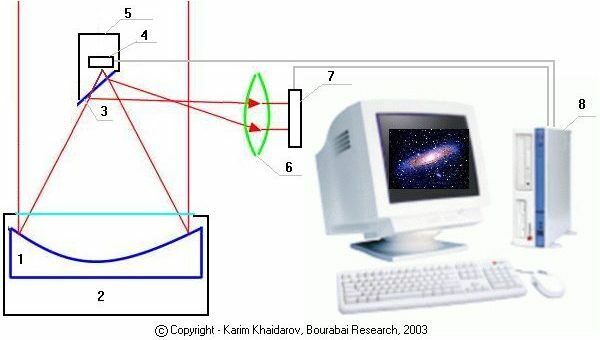 The multiple experiments on measurement of corpuscular velocity of light [St. Marinov, M.D.Torr - P.Kolen and others], measurements of Doppler-effect of Cosmic Microwave Background (ether black-body radiation) [14, 15] have shown, that independently from motion of celestial bodies, macroscopic (statistical) velocity of intradomain amers is a zero both in terrestrial, and intergalactical scales. Solar system moves comparatively this component of the ether at the speed of 390 �30 [km/s]. � - transversal (shear) velocity in the ether.